Welcome to the VIP-only premium lounge! 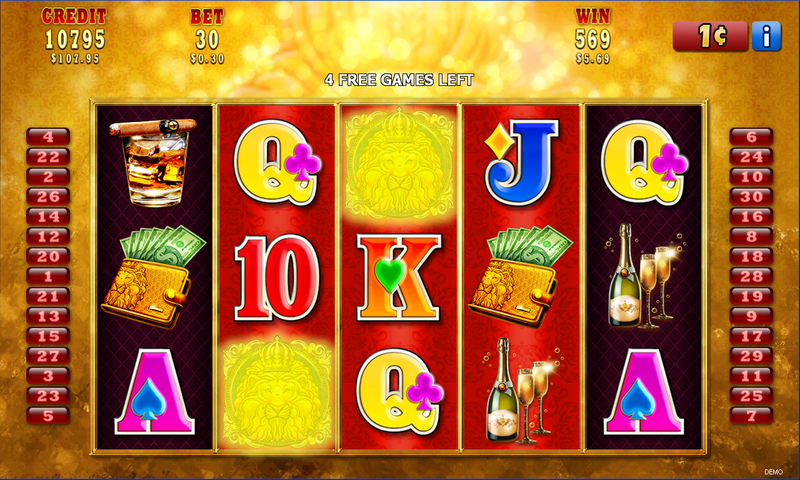 Enjoy the luxurious service of bountiful free games that features bonus substitutes. 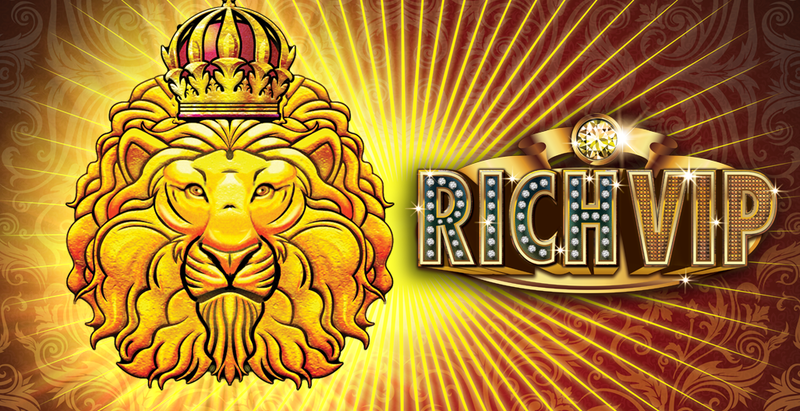 Be served only by the best and enjoy the rewards that awaits you. 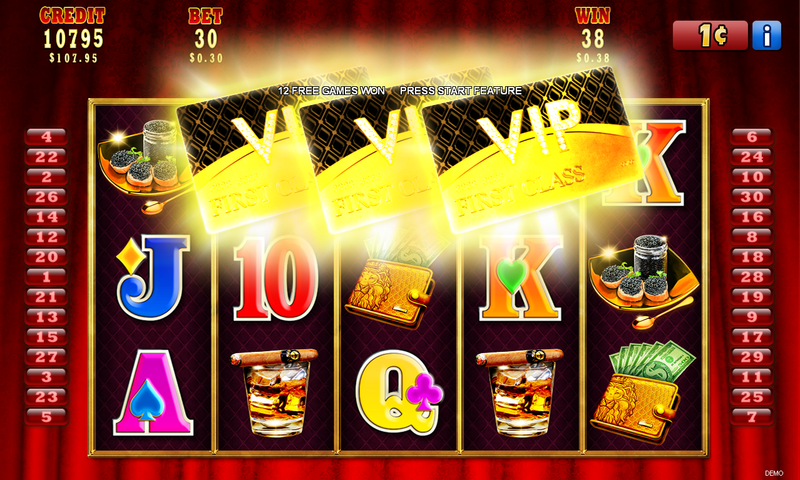 3 scattered [VIP Card] on reels 2, 3 and 4 trigger 12 free games. 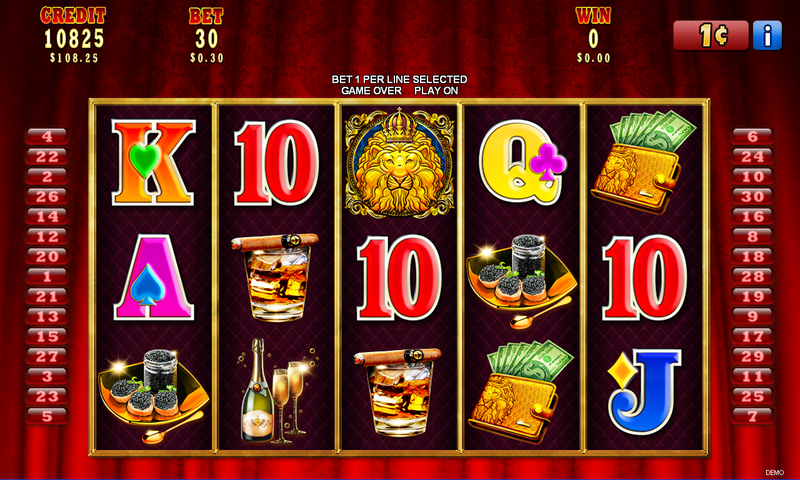 Each free game, immediately after all reels have stopped spinning and before any wins are paid, all symbols on reels 2, 3 and 4 involved in one or more line wins will each transform to [Lion Head].